8 ft. 9 in. X 8 ft. 9 in. 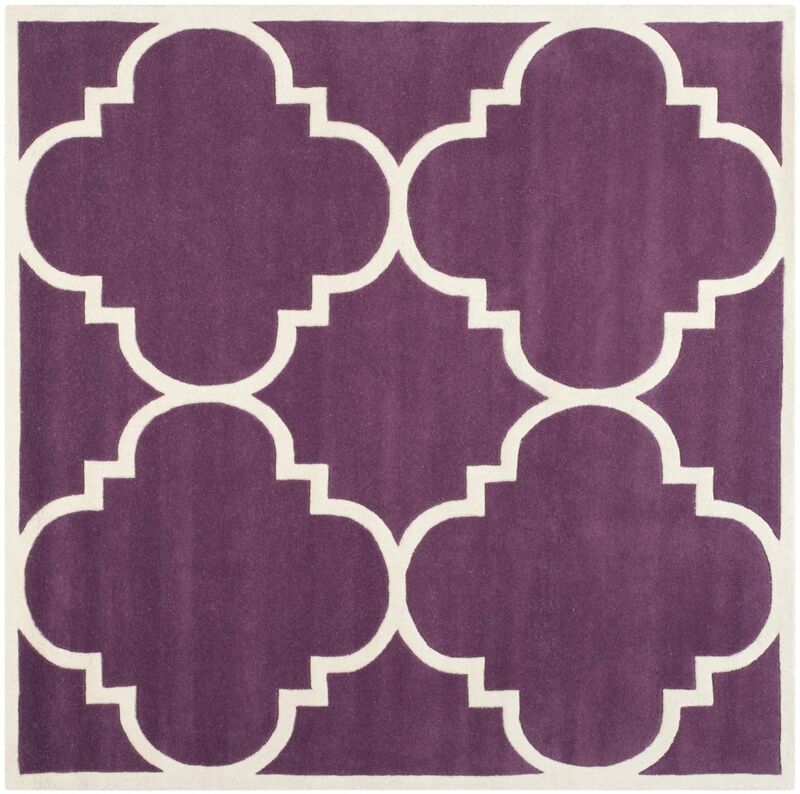 Chatham Abe Purple / Ivory 8 ft. 9 inch x 8 ft. 9 inch Indoor Square Area Rug The Chatham collection by Safavieh contrasts ancient Moroccan motifs with a fashion-forward palette of bright and pastel colours. This transitional and contemporary rug offers a thick wool pile in modern designs to complement any home decor. These stunning hand-tufted wool rugs are crafted in India to recreate the elegant look of hand-knotted carpets for today's lifestyle interiors. This is a great addition to your home whether in the country side or busy city.